It’s always fun when we get fabric samples at the office but it is even more fun when some of our crafty friends make things with our fabric. I think we’ve mentioned before that we are staple gun and iron-on sewing experts but we’ve never mastered the needle and thread! Even though it kills my mom, who sewed tons of our clothes when we were little, I can barely handle a missing button. She did give me sewing lessons once but I broke the machine so instead she gave my kids lessons and bought a sewing machine for them to share. Unfortunately after the first month of excitement it started gathering dust and was moved to the garage. Maybe once my kids are out of the house I will have time to become the leisurely sewer of my dreams. Until then, we must rely on friends and family to sew us fabulous projects with our new fabrics. And lucky for us they do not disappoint! 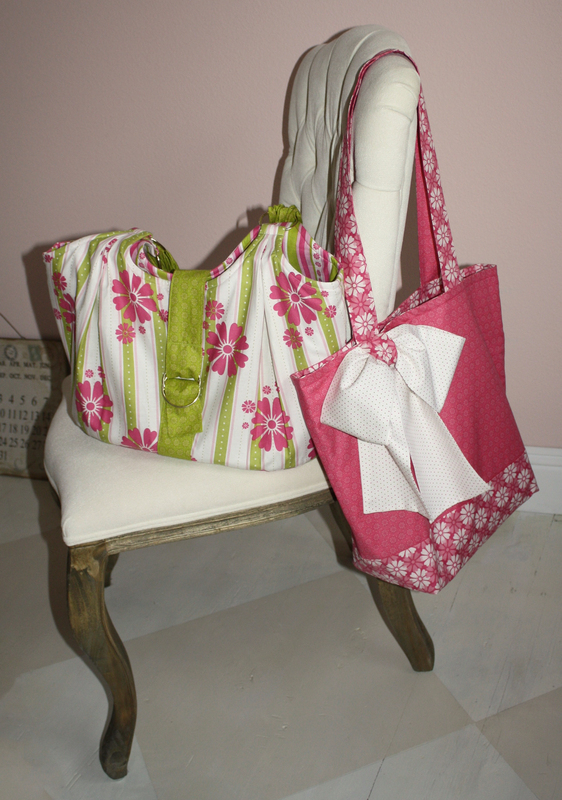 Our fabric, In the Meadow, by Quilting Treasures was used for the bags above. 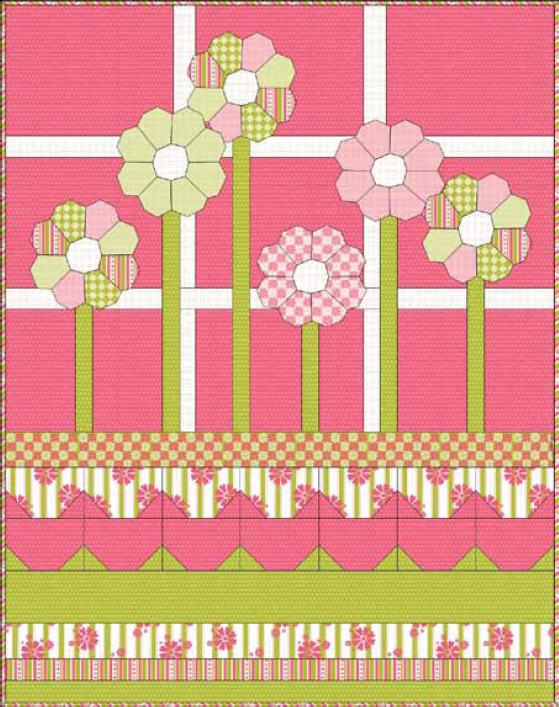 You can also download a great quilt design here. We have new fabric coming out soon featuring shoes, can’t wait to see what our pals come up with next.